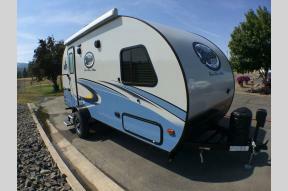 We’re excited to find the perfect RV for you at Blue Dog RV Post Falls. Shop a variety of new and used truck campers, toy haulers, motorhomes, and more, whether you’re interested in buying or renting. With our friendly staff members and reliable services, everyone at Blue Dog RV is ready to help you every step of the way. With years of experience serving this community, we want to find the right RV for your next adventure. Peruse our selection of RVs for sale in Post Falls, ID — we offer both new and used RVs ranging in style, capability, space, and manufacturer. Easily hitch a fifth wheel camper or travel trailer to your suitable vehicle for easy transportation, or opt for a motorhome to enjoy the comfort of your own home on the go. Explore our parts center if you’re looking for accessories to personalize your new RV. For quick, hassle-free repairs, you can make an appointment with the qualified technicians in our service center who will get the job done. For more information about our Post Falls, Idaho, location contact us or call (208) 618-8212.